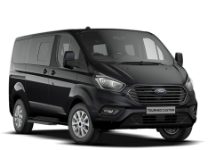 Below is a table of downloadable eBrochures for the 2018 Ford Car Range and the 2018 Ford Commercial Range. Click on any of the links in the table in order to download the relevant eBrochure to your desktop. The files are stored as PDF files so you will need some PDF reader software to view it (if you do not have PDF Reader or some similar software, you can download it from Google for free). Bear in mind that these are large files so download time will depend on your broadband connection speed.